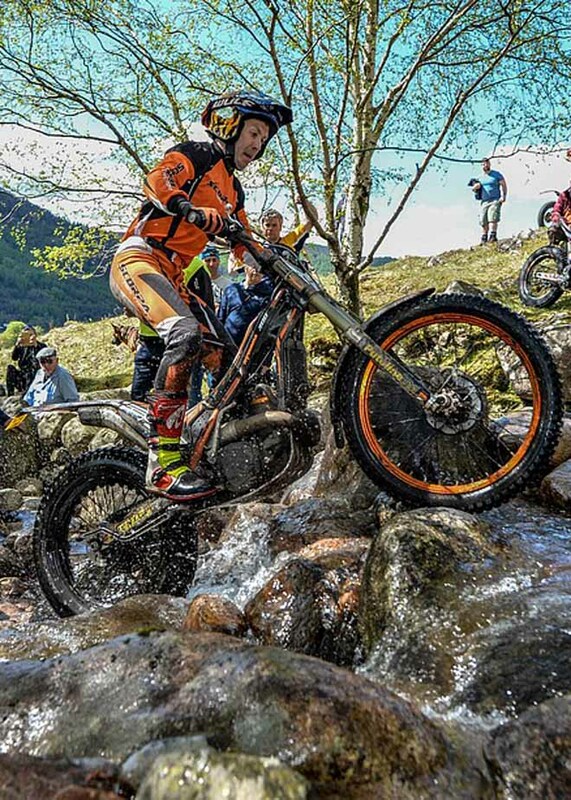 Dougie Lampkin - Vertigo snatched a record extending twelfth Scottish Six Days Trial (SSDT) in dramatic fashion on the closing day of the 2018 event, despite having never been in the lead throughout week. 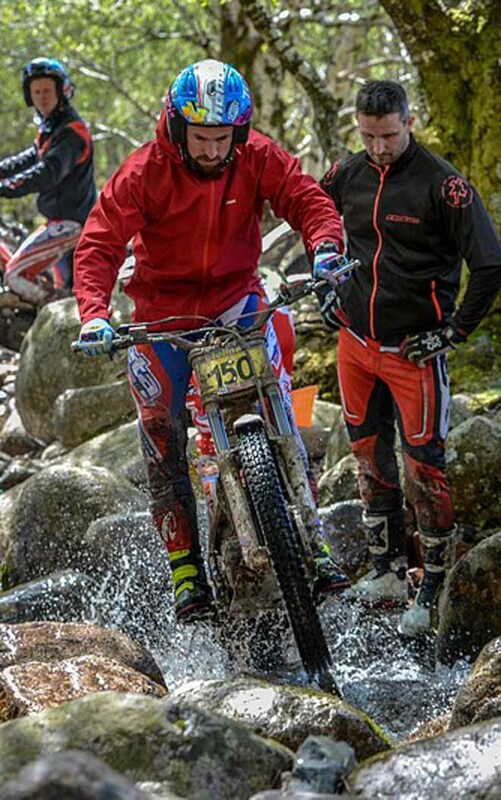 It was James Dabill - Beta who was, and had been the front runner from Monday and went into day six with a slim advantage which would cruelly disappear when his rear tyre came off the rim in the final section on Ben Nevis. Lampkin had never carried the yellow leader board this year having not been helped by his own mechanical problems earlier and throughout the competition, however he was never far off the lead and had kept the pressure on his fellow Yorkshireman, Dabill up to and going into today's deciding encounter. 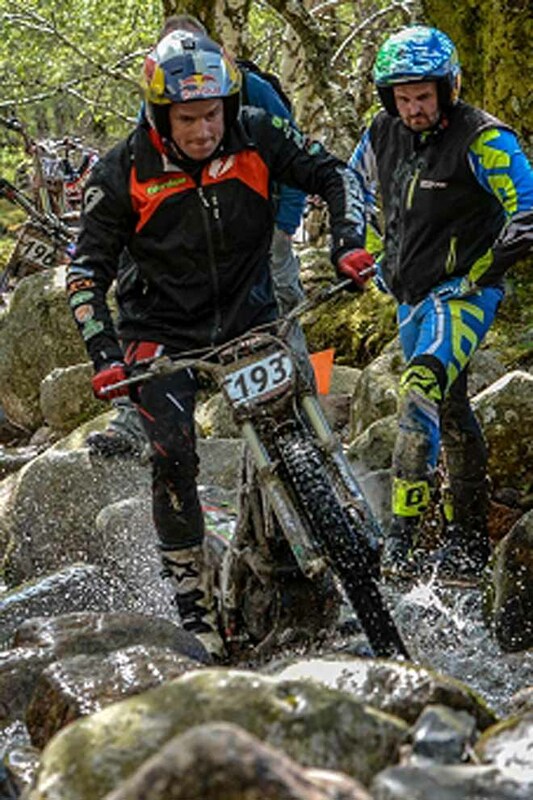 The duel between these two previous SSDT winners did not disappoint and despite the high stakes both rode brilliantly to remain clean through the earlier challenges presented by the sections at Upper and Lower Mamore, Pipeline, Bradileg right through to and including Glen Nevis. Under brighter skies and aware of the unfolding story ahead of him Lampkin remain calm and focused and simply got on with his own task of plotting his way safety through the sections in the shadow of Britain's highest mountain for the loss of just a single dab that would seem him win his seventh SSDT in a row, this time by three marks, and to take his tally to twelve Scottish wins in total. The chasing contingent proved to be as strong as ever with local rider Gary Macdonald - Scorpa finishing a strong third after he kept in touch with the leading duo throughout the week. Macdonald's place on the podium came by way of a tie-break, as he got the nod over Jack Price - Gas Gas after they both finished on eighteen marks apiece. Jack Sheppard - Sherco rounded out the top five as the Suffolk challenger enjoyed a return to form following some recent disappointing results in the national series. Previous SSDT winner Sam Connor - Beta again showed himself to be a Scottish specialist with a fine sixth place as he saw off Andrew Chilton - Scorpa and Richard Sadler - Beta who ended the week seventh and eighth respectively. Locked on thirty-six marks each Guy Kendrew - Beta and Sam Haslam - Gas Gas claimed the last two spots inside the top ten, in that order. 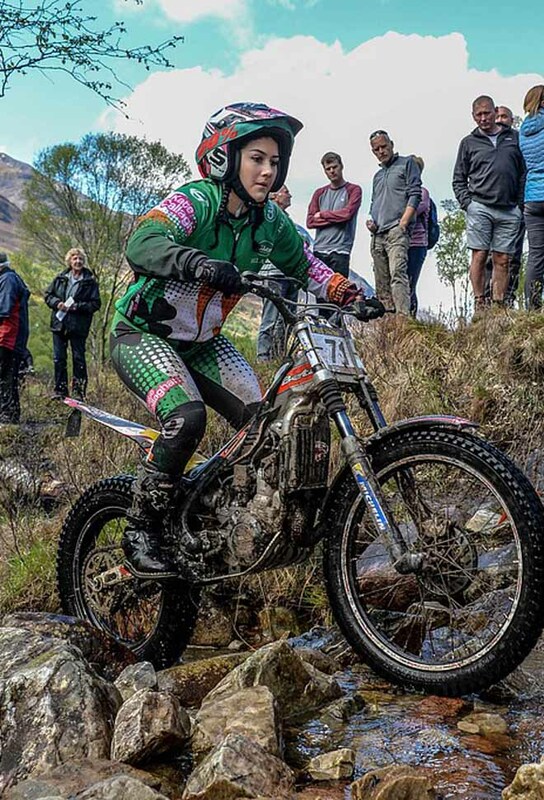 Whilst Lampkin may have claimed the overall win and the best over 40's award, Emma Bristow - Sherco performance was equally noteworthy as she secured thirty-sixth spot in the general ranking and was by far the best female rider over the six tough days of competition. Macdonald was the clear winner of the best Scottish rider award, leaving Dabill's World Championship minder, Jiri Svoboda - Beta to deservedly collect the prize for best newcomer. Dougie Lampkin - Vertigo, e' stato bravo a non mollare fino all'ultimo, ma in questa edizione e' stato molto fortunato. James Dabill (Beta) ha stallonato proprio in una delle ultimissime zone. Un cinque che gli e' costato carissimo. Lui che aveva condotto dal primo giorno, beffato a 4 zone dalla fine, dopo averne affrontate 146 da leader (30 al giorno). Terzo lo scozzese Gary Macdonald (Scorpa), anche vincitore della Pre-65 che si disputa su due giorni nella settimana prima. Ci sarebbe piaciuto vedere fin dove si fosse spinta la rimonta di Renato Chiaberto (Sherco) ma la moto di un concorrente piombatagli addosso gli ha rotto il ginocchio al quarto giorno. La solita Emma Bristow (Sherco) con un brillante 35-esimo posto e' stata la prima di ben 9 donne che hanno tentato l'avventura. Seconda la spagnola Sandra Gomez (Gas Gas). Lodevole il 21-esimo posto di Amos Bilbao (Montesa) da tempo uscito dal mondo delle competitioni ma che questa gara (da lui anche vinta) lo continua ad attirare. Gli altri italiani che hanno finito sono Luca Paoletti (217-esimo), Giorgio Corrieri (230-esimo), Davide Morando (231-esimo), Paolo Broganelli(235-esimo) e Alessandro Merlo(237-esimo).